The Festspiel-Saison at the Festspielhaus Baden-Baden culminated with Jonas Kaufmann, Bryn Terfel, Anja Harteros and Ekaterina Gubanova all on stage in this magnificent Opera Gala. 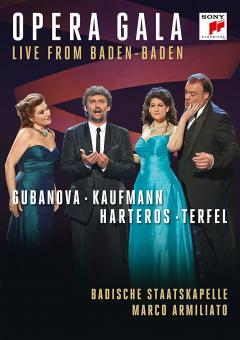 The gala presented a diverse range of solo-arias and duets. 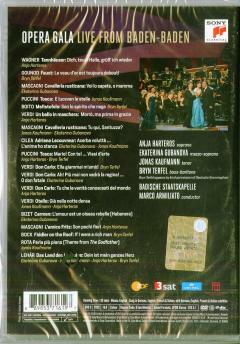 Among the highlights included works from Puccini’s ‘Tosca’, Verdi’s ‘Otello’ and Mascagni’s ‘Cavalleria rusticana’. 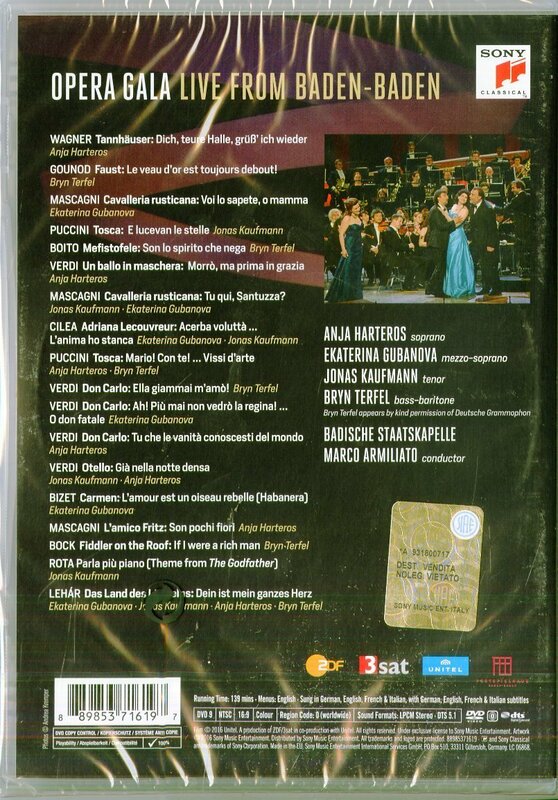 Sony Classical are pleased to see this final concert from the Opera Gala come to life on this DVD and Blu-ray release, a must-have for any opera fanatic.